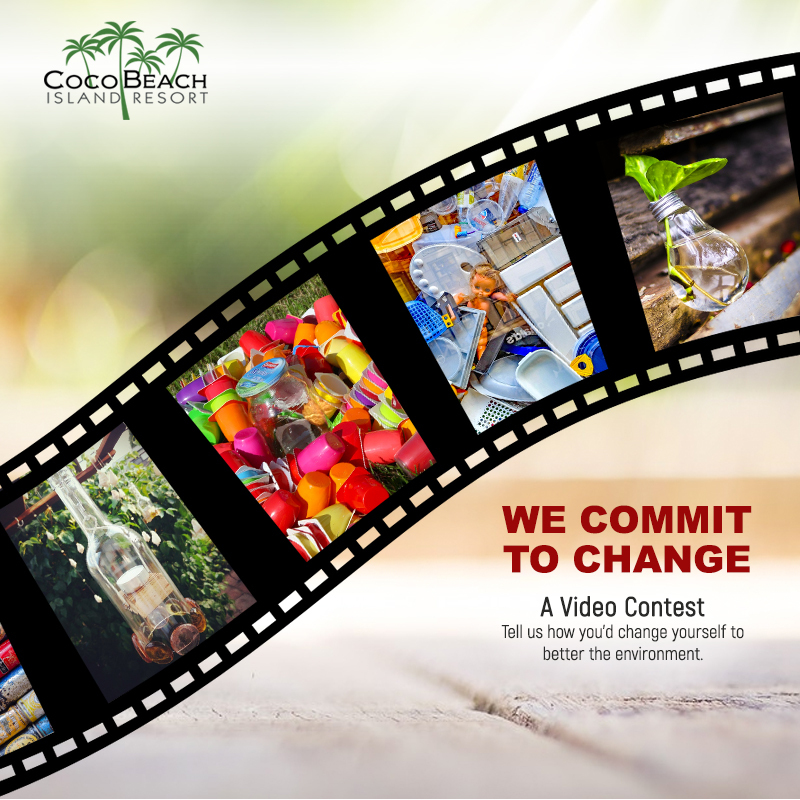 An eco-friendly resort aims to further its commitment to actively protect and preserve the environment and intends to engage others through an online video contest. “We’re living in a modern age where some advancements have actually caused harm to the environment. While we benefit from these modern upgrades, we also have to be cautious of their harmful effects and be able to do something about it,” shares Ina Israel, CEO of Coco Beach Island Resort, Puerto Galera. For more than three decades, Coco Beach Island Resort has been initiating and participating in various conservation efforts. It has recently partnered with Save Philippine Seas for a coastal cleanup and waste audit activity. “Our business exists because of the beauty of the environment. It is therefore our responsibility to take care of it,” she adds. We Commit to Change Video Contest runs from today until February 25, 2018. All one has to do is create a 15-30 seconder video showing unique and creative ways on how to conserve and even minimize waste – tips on how to tweak your usual ways to something less harmful to the environment. Upload the video on Facebook and use the hashtag #wECOmmit2CHANGE. Don’t forget to tag @coco.beach.resort and set your post to public. For more information about the contest and its terms and conditions, please visit http://bit.ly/2DJjilK.